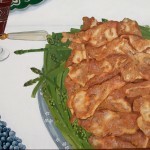 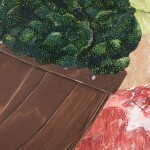 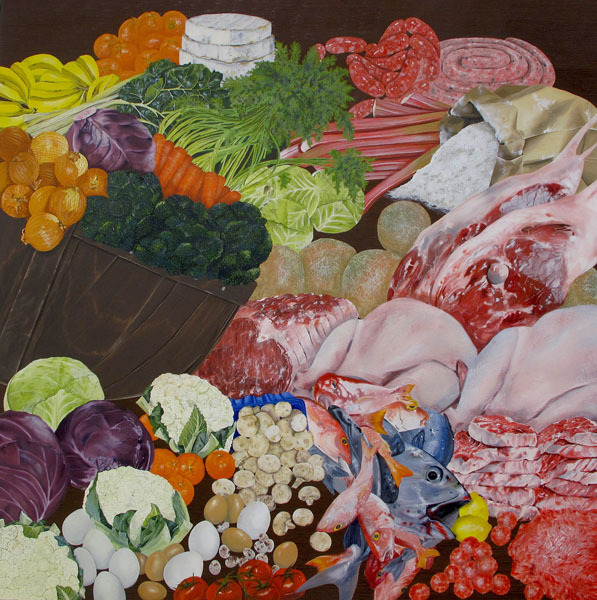 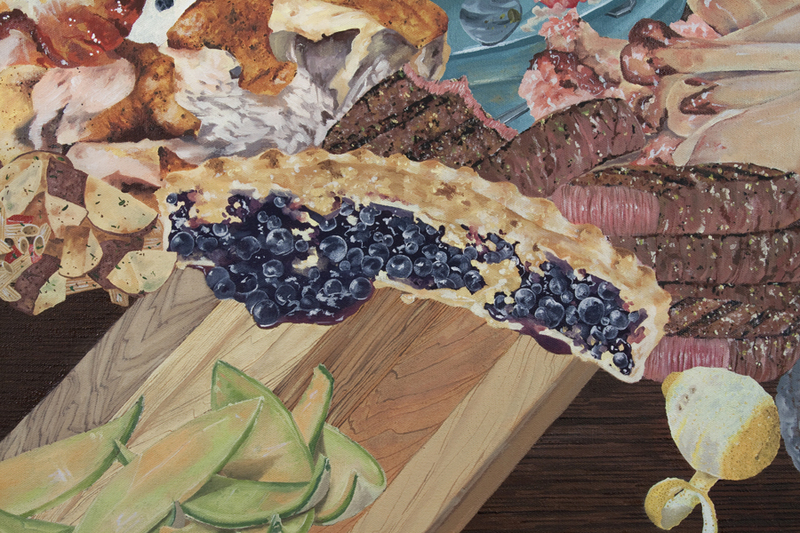 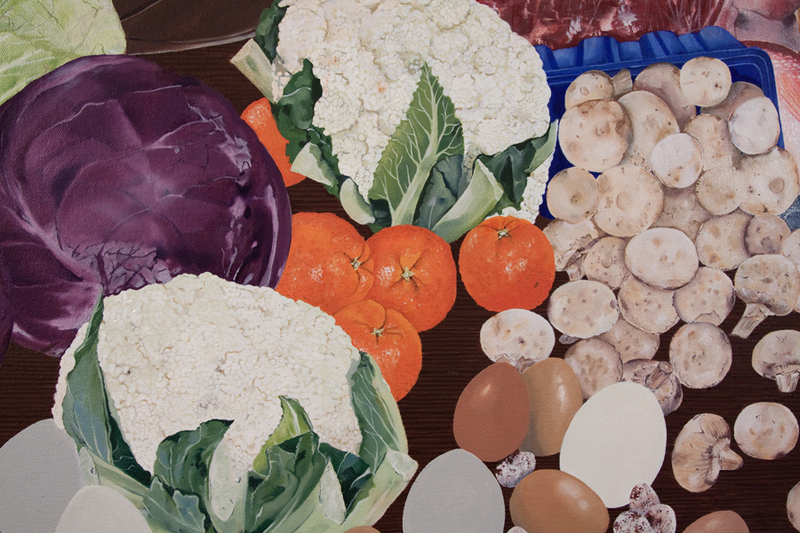 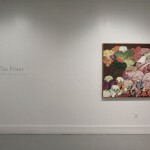 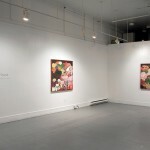 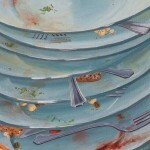 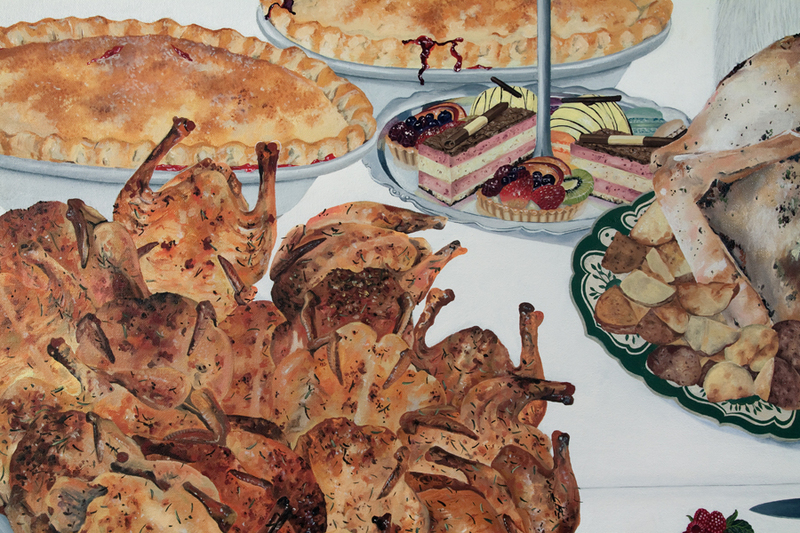 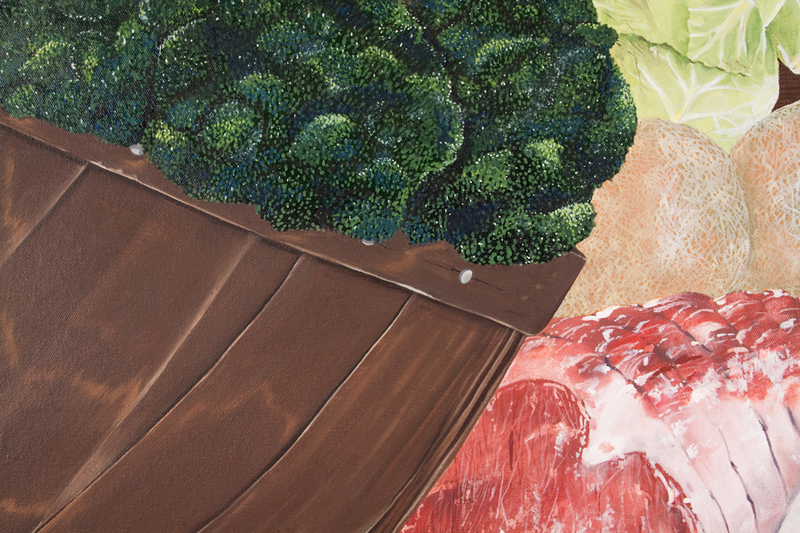 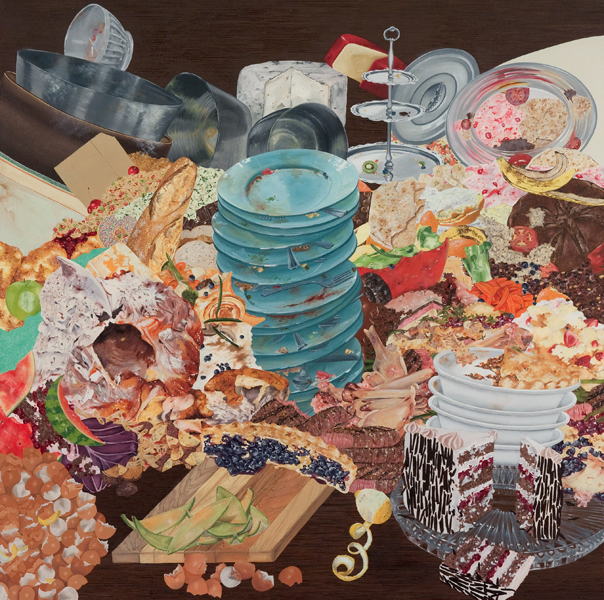 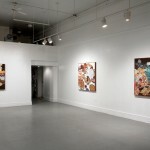 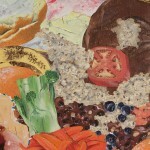 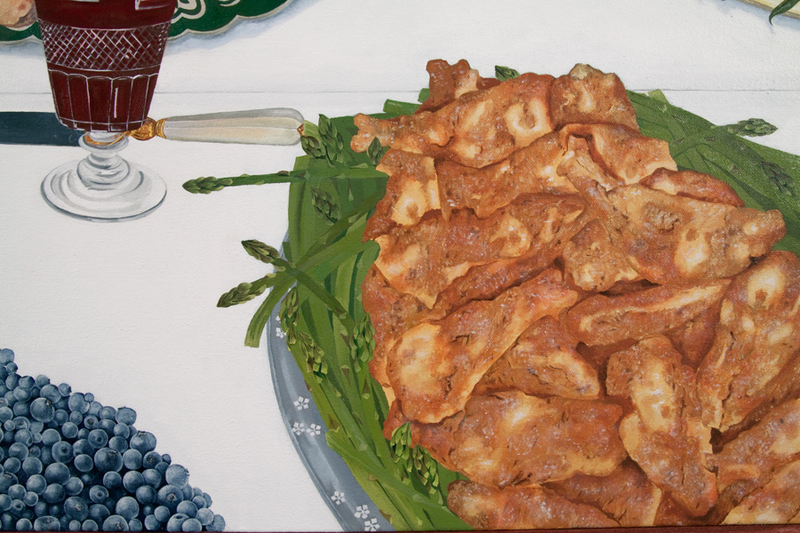 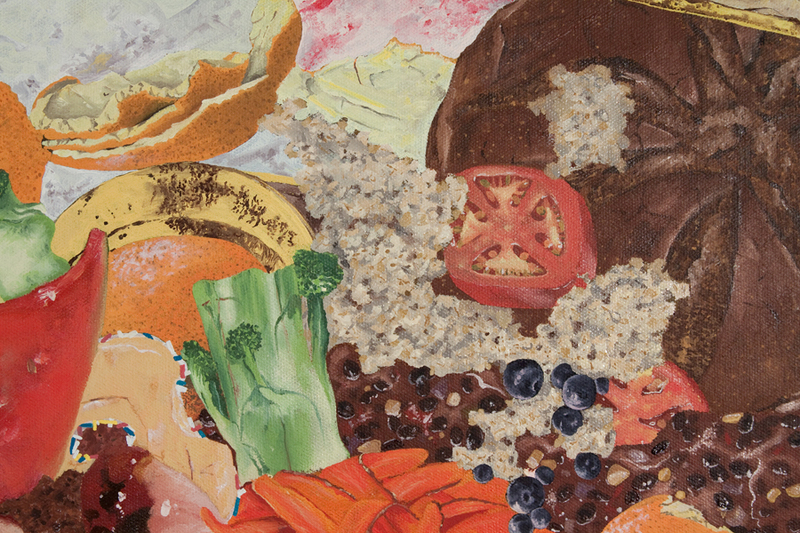 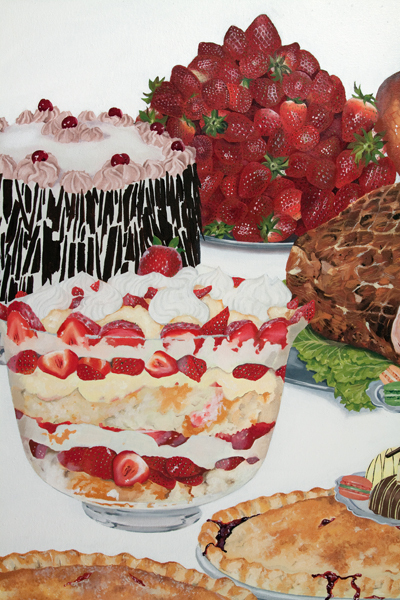 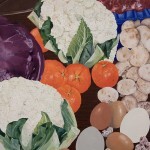 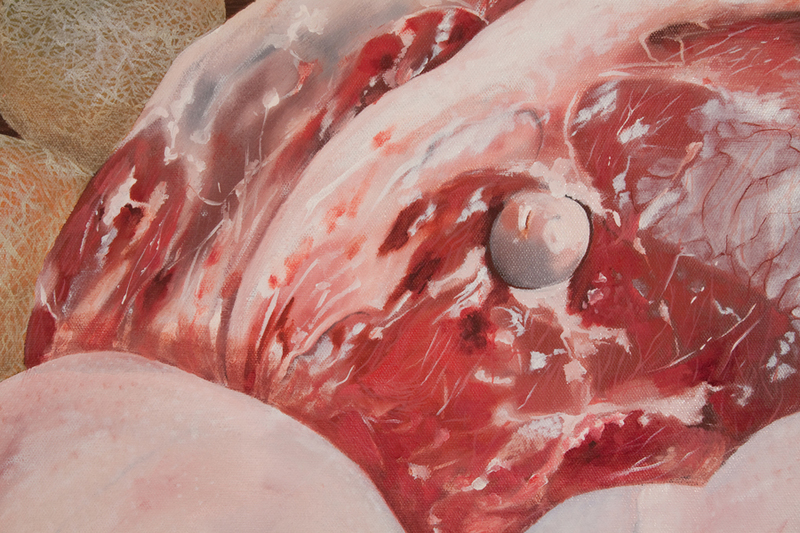 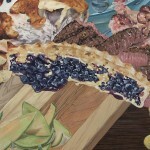 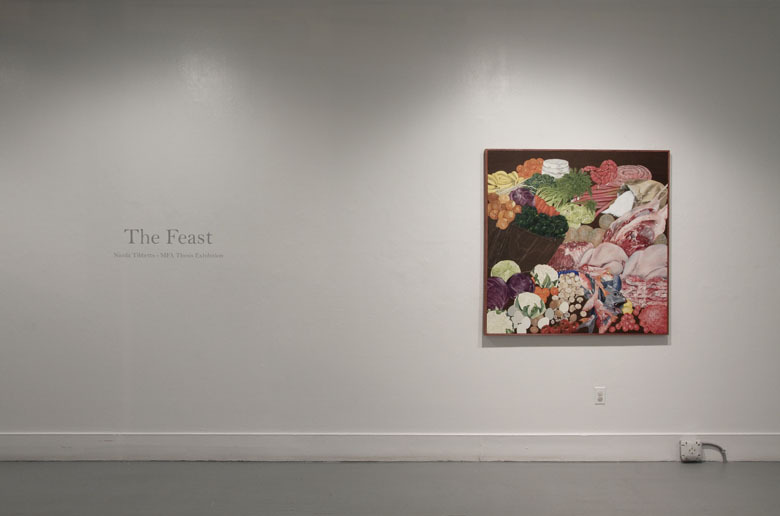 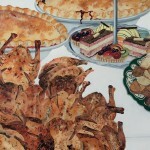 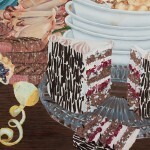 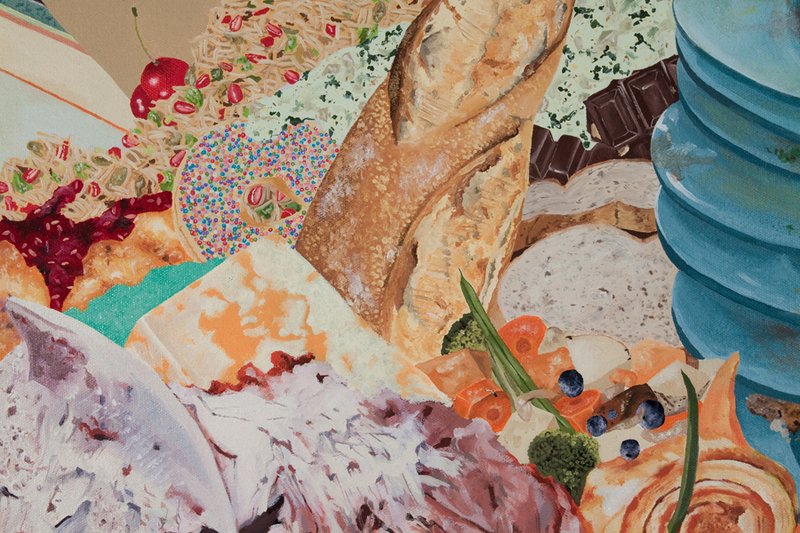 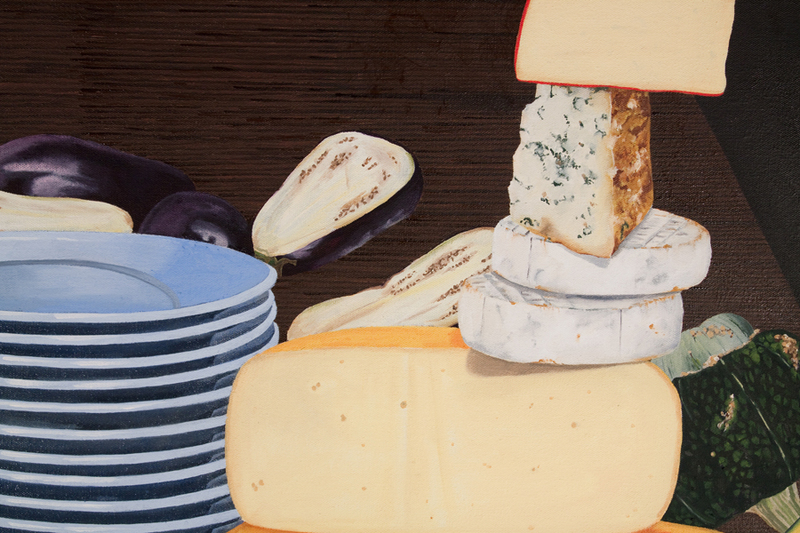 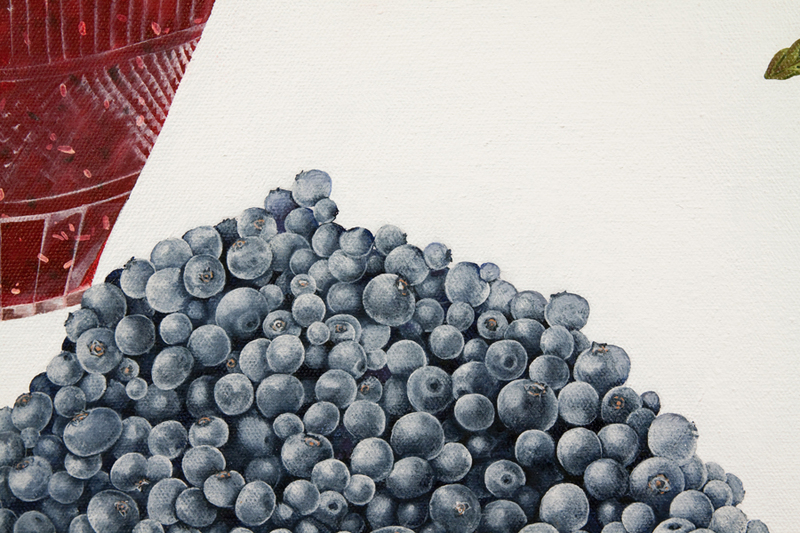 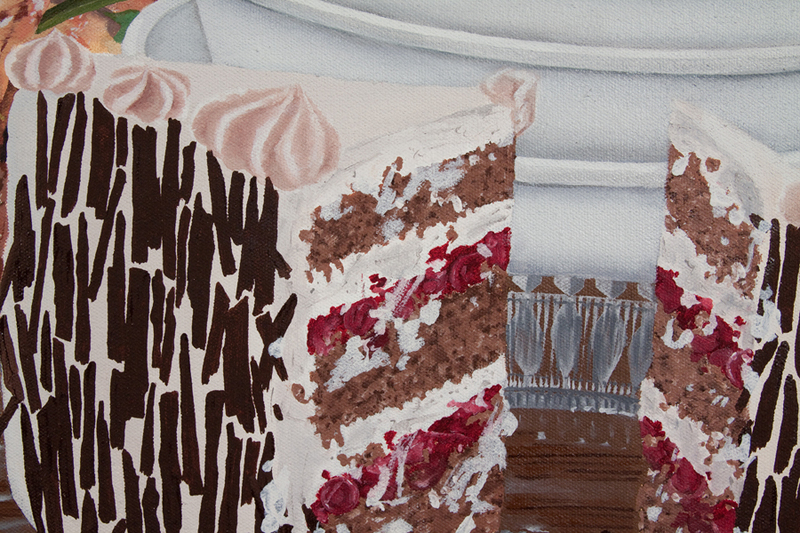 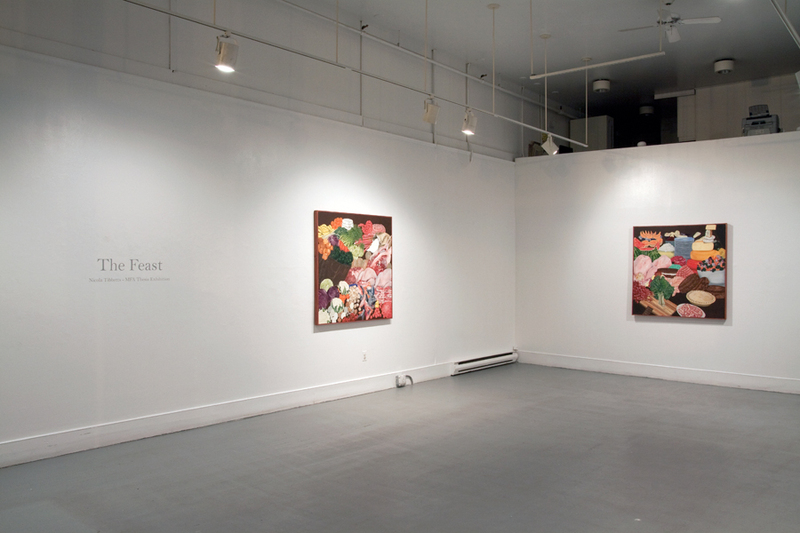 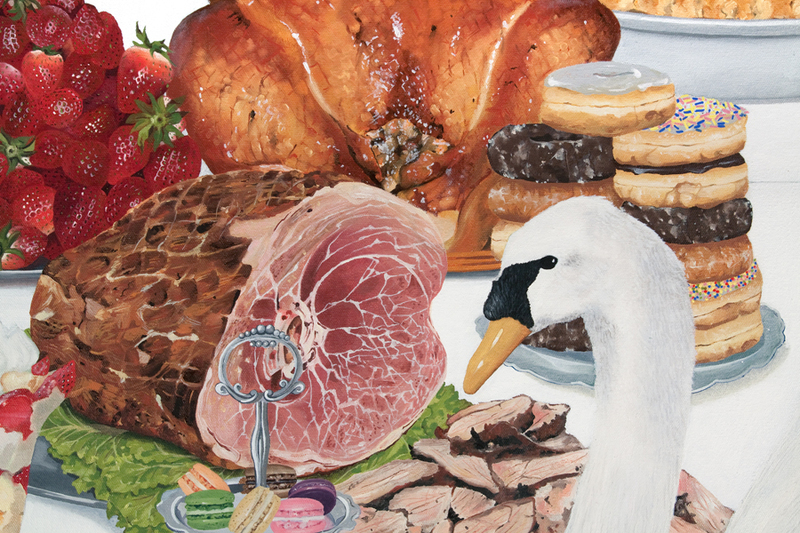 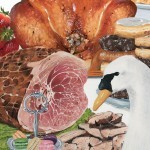 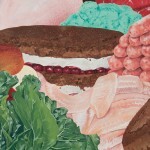 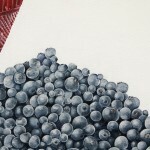 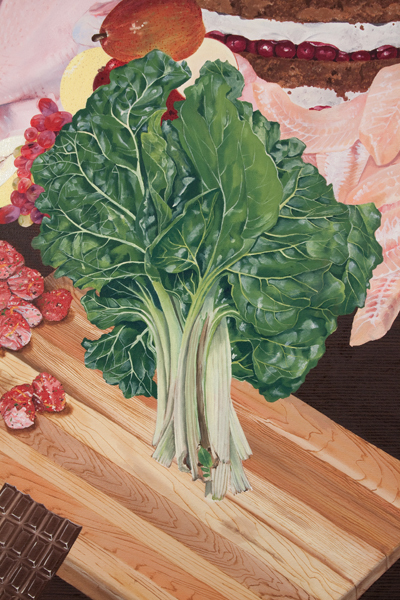 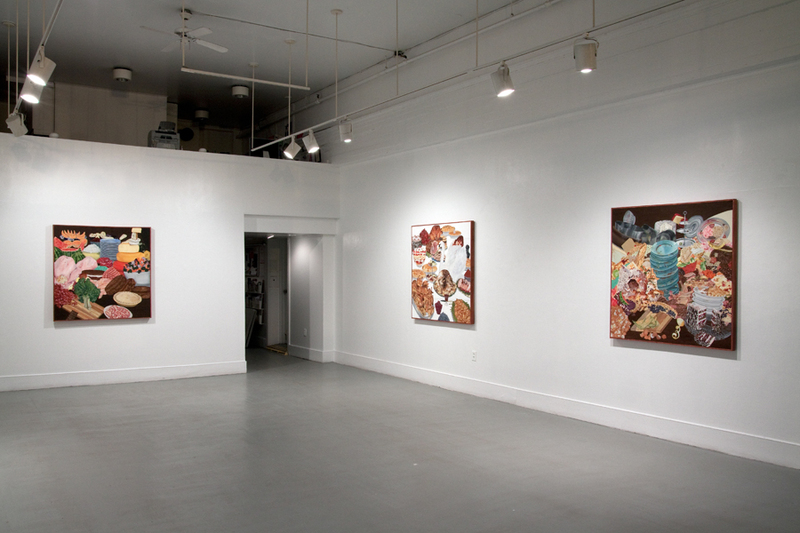 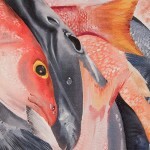 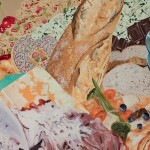 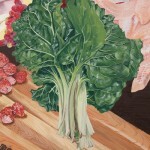 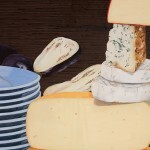 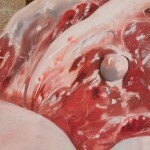 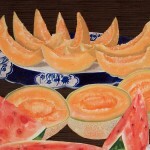 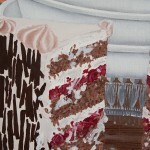 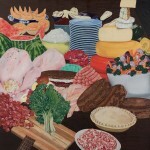 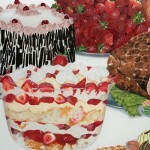 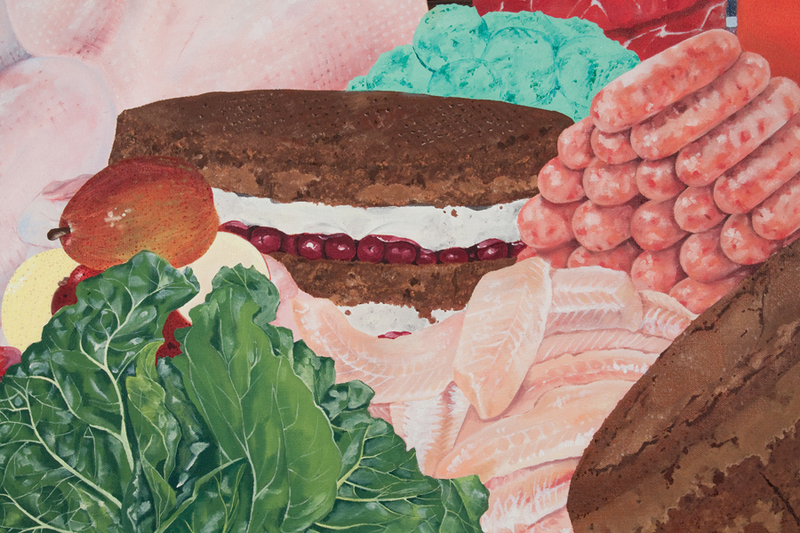 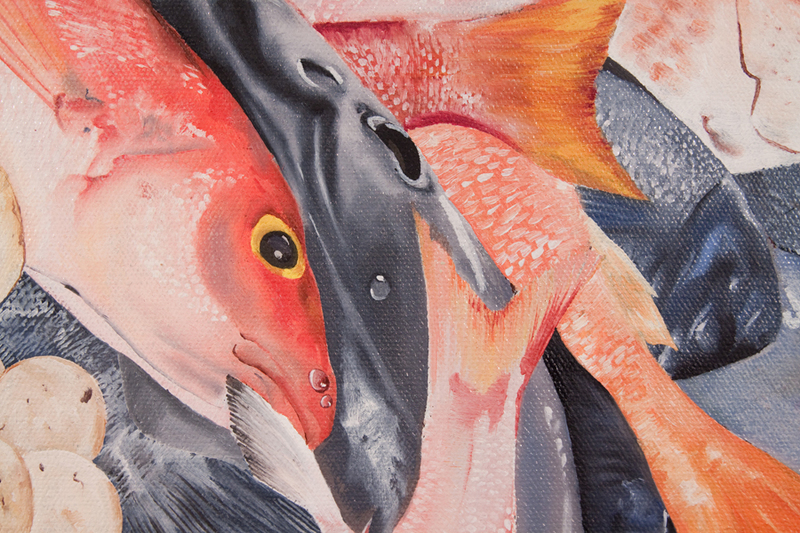 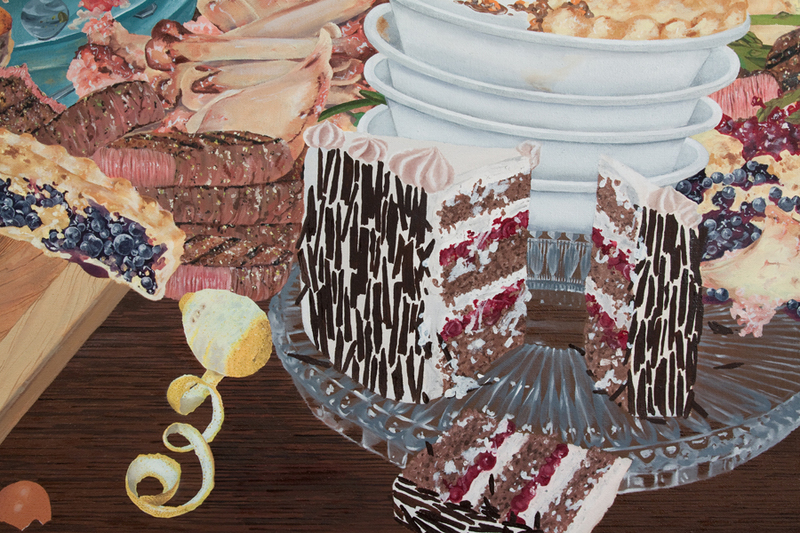 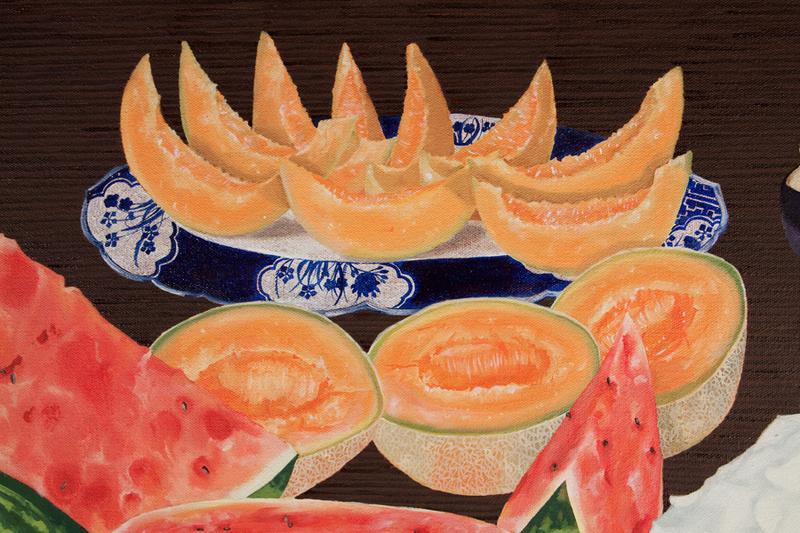 This body of work, titled The Feast, is a series of paintings based on an imaginary banquet. 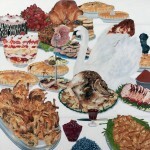 My inspiration for this theme was the lavish, ostentatious feasting rituals of the Middle Ages. 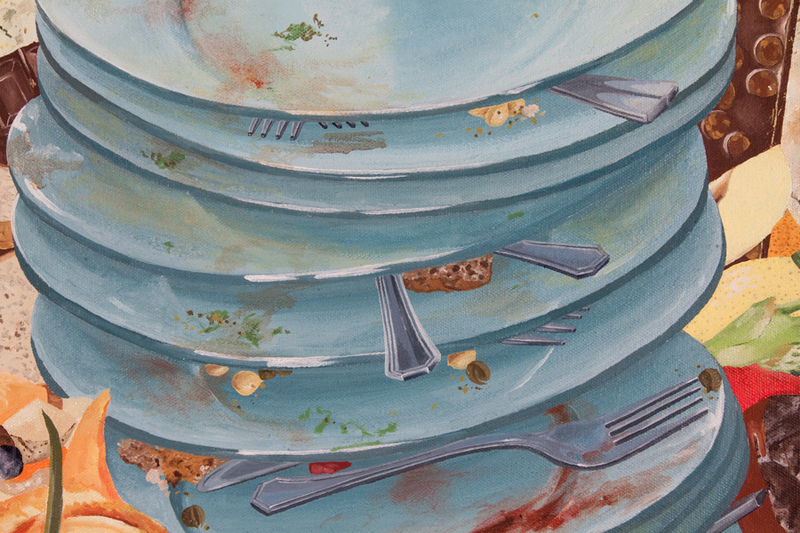 These paintings illustrate the course of a feast from its very beginnings as a lush accumulation of the ingredients, to its final stages, where bones and dishes pile high and only crumbs remain.